Do good while having fun at Utah’s LARGEST food truck rally for charity! 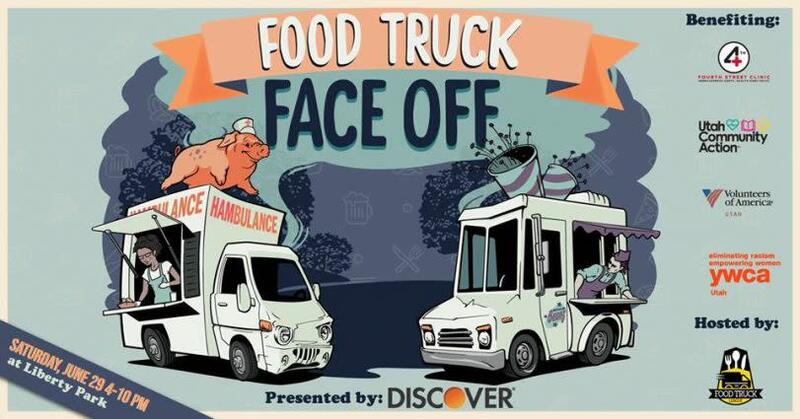 Discover presents the 5th Annual Food Truck Face Off! Chow down and support four wonderful nonprofits (Fourth Street Clinic; Utah Community Action; Volunteers of America, Utah; and YWCA Utah) with over 30 of Utah’s best food trucks in a friendly competition. This year features more food trucks, great live music, cold Uinta Brewing beer and a movie in the park after dark—something for everyone!Redeem your tickets at the truck of your choice at the Face Off – menu items will be priced from 1-4 tickets with most meals at 2 tickets. EVERY TICKET SOLD WILL RAISE MONEY TO END POVERTY AND HOMELESSNESS IN UTAH, with over 30% going to the four participating nonprofits. 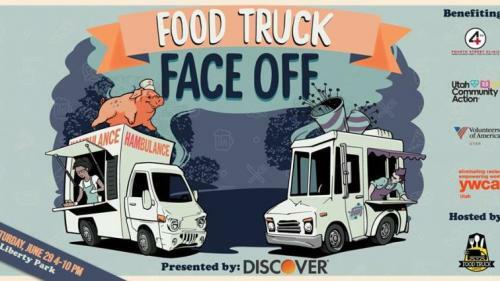 The truck that collects the most tickets at the end of the night becomes the 2019 Food Truck Face Off Champion!